It was a mesmerizing performance, one couldn’t help but feel transported briefly to another world. 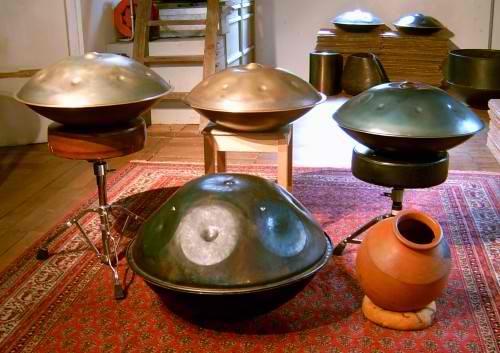 Maulana told the performer, that this was not a newly invented instrument as claimed by many (even by Wikipedia), but had in fact been played since the time of the Ottomans. Played by the women of the Royal Harem in the Ottoman Palace Courts, such performances provided relaxation to the Sultans. Maulana humbly thanked Allah for sending him this young bashful performer, whose performance had helped lifted Maulana’s burdens from him. The notes produced by a flute are always melancholic, sad and haunting. Why? 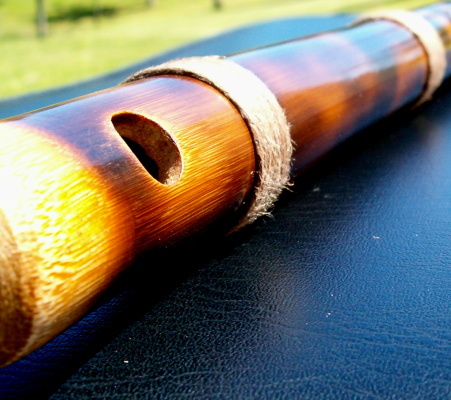 The flute is made, by cutting it off from its mother, the bamboo plant. Ever since it had been forcefully cut from its mother, the anguished piece of carved bamboo, now called a flute, wails and weeps, producing the dejected sounds of one yearning to be back to where it came from, to be reunited with the rest of the bamboo tree. Our Souls were created in the Heavens, and for an unimaginable number of years, lived there in complete obedience and absolute bliss of being in the Divine Realm. Brought to earth against our will, and placed within a cage of egoistic flesh and sinful desires, it weeps in sadness at its unexpected separation, it seeks a way back to its homeland, the Heavens. Just as a baby cries when it is separated from the comfort of its mother’s womb, the separation of the flute from its mother plant, is a painful and heart-rending experience. Similarly, Death, the separation of the Soul from the body, has been described as an excruciating experience, as the Soul bids farewell to the body, cell by cell. Allah shows through our worldly lives, separation is always horrendously painful, and reunion is the sweetest of elixirs. Every death is mourned deeply by loved ones, some never ever being able to come to terms with that separation. Yet, in every separation, lies the hope and the sweetness, of reunion. Maulana says, even to be ‘separated’ in fasting from food for just a few hours, makes the morsel of food we eat at the breaking of fast, so tasty, so fulfilling. Oh believers, you were not created in this dunia. You were not created for this dunia. You were never part of this dunia. And you will never take a part of dunia back with you. Listen to the yearning within your Souls! You came from an eternal plane, and shall return to that eternal plane. For those who seek, they shall be reunited with their Lord Almighty, never to be separated again, forever. Eternity, Maulana says, is the most beautiful of words, giving such hope amidst the despair of this temporary life, giving such joy amidst this life’s sadness and suffering, giving such pleasure amidst this life’s pain and poison. Eternity. Ask anyone who has lost a dear, loved one, what he would give to spend just another five minutes, with the one he had lost – to hold, cherish, hug and kiss that one, just once more, to cuddle someone whom his heart misses so much. What if he was offered to be reunited with that dear departed one, for a year? Oh, how his heart would sing with joy, how the notes from his heart will be joyful, happy ones. But oh believers, do we not realise that we have been offered to be reunited with our Beloved, not for a mere five minutes, or for just a year, but for ever! For eternity, He will shower His Love on us without end, our Souls will never suffer separation from Him, ever again. Knowing this, our Souls are pleading now, for us to work towards that permanent reunion, and to take hope and strength from that yearning! Yet, we turn a deaf ear to the pleading of our bereaved Souls, and, turning our backs on eternity, we choose separation from Him – we choose dunia. And because we have done so, when we return to the hereafter, there, we shall yearn and long for this dunia, and since we shall never return here ever again, it will be our turn to weep, for we have been separated eternally from the one that we love. At the end of the video, Maulana remarked that the performer had the mark of a Master, as he played from his heart, and not from his mind, and in that, his notes ‘penetrated’ Maulana’s heart, bringing relaxation and contentment. Maulana is teaching us that today’s religious guides, are of two types. The first type are the Scholarly ones, those who speak from the mind, from memorized notes and intellectual discussions. They are busy accumulating worldly titles and distinctions, and they are eloquent speakers, quoting frequently from their research and thesis. Since their words come from their minds, it only reaches the minds of their listeners, but being devoid of light, it brings a heavy weight and burden, upon the mind. A student find himself overwhelmed with information, yet cannot fight the evil stirrings within himself. Maulana says that these types of Teachers believe that, in order to teach a topic/subject, one must have read a book about it. They equate having memorized or having read a lot of books, as the definition of an aleem. Words that reach a student’s mind, cannot bring satisfaction, for only when knowledge reaches a mureed’s heart, can he find contentment. The second type of Teacher, speaks from an illuminated heart, from pearls of wisdom and from the jewels of true understanding. Theirs is a knowledge of taste, for none will find pearls or jewels without embarking on a difficult journey to find them. Such a blessed one, speaks to your hearts, and the attendee feels lightened and refreshed after sitting in their circle. You can always tell the difference! Maulana says, the difference, is like the difference between heaven and earth! Surely one can tell the difference between plastic fruit and real fruit. One type of speech (with ego), is addressed to your mind, it darkens and burdens you, whilst the other type (from the light of the heart), is addressed to your heart, it lifts and relaxes you, leading to contentment of the Soul. So seek out a true Master, one who speaks from his heart to yours, for, from heart to heart, there is a connection. Maulana cautions all mureeds, that unlike vomiting out contaminated food if you accidentally ate it, one cannot get rid of contaminated teachings (from the first type of Scholars) so easily, it may remain with you, and poison you, till the end of your lives. GrandShaykh says, for that reason, we must be careful not to sit with those who deny Tariqahs and Murshids, for if we did so, we must be prepared to carry a heavy burden of darkness and to live with an injured heart for one year! This Summary is dedicated to the loving memory of dearest Sister Maryam Fatima, daughter of Shaikh Muhammad Baba Ishtiyaque (Maulana’s representative for UAE), who passed away hours before this Summary was posted. She was the sublime inspiration behind this Summary, for whilst she tasted the sweetness of reunion, we were left with the sadness of separation. May Allah bless her Soul eternally, and may her loved ones be bestowed everlasting tranquility, for the grief that they have borne so patiently. Ameen. Al Fatihah. This 10 minute Suhbah in English can be viewed at www.Saltanat.org, Click here to watch the Suhbah. Saltanat TV is the Official Site of Maulana Shaykh Nazim that is sanctioned and approved by him personally. This entry was posted in Maulana Shaykh Nazim's Suhbahs and tagged akherat, dunia, eternity, flute, hang, Harem, nay, ney, Ottoman, reunited, separation, Soul, Souls, weep, weeping, yearning. Bookmark the permalink.